From Muddy Waters to Mick Jagger, Elvis to Freddie Mercury, Jeff Buckley to Justin Timberlake, masculinity in popular music has been an issue explored by performers, critics, and audiences. From the dominance of the blues singer over his "woman" to the sensitive singer/songwriter, popular music artists have adopted various gendered personae in a search for new forms of expression. Sometimes these roles shift as the singer ages, attitudes change, or new challenges on the pop scene arise; other times, the persona hardens into a shell-like mask that the performer struggles to escape. Oh Boy! Masculinities and Popular Music is the first serious study of how forms of masculinity are negotiated, constructed, represented and addressed across a range of popular music texts and practices. 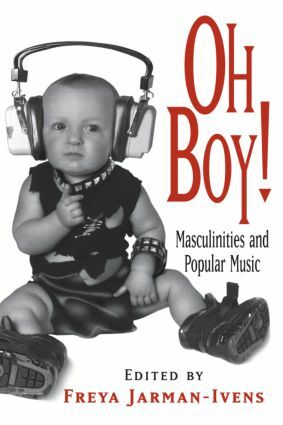 Written by a group of internationally recognized popular music scholars—including Sheila Whiteley, Richard Middleton, and Judith Halberstam—these essays study the concept of masculinity in performance and appearance, and how both male and female artists have engaged with notions of masculinity in popular music.